Update April 11, 2017: G2A have responded to comments made to us by Vlambeer co-founder Rami Ismail last week, saying keys that are scammed by email are classed as legitimate because they come from developers. There are plenty of free PC games to get stuck into if money is tight. That’s not to say they’re excusing the behaviour, however. They just don’t see it as their responsibility. “We are sorry that there are people who are swindling keys and pretend to be YouTubers, but this is totally different situation than someone who buys keys with stolen credit cards,” Kuc explains. Original Story April 7, 2017: Gearbox have just rather publiclysplit from G2Aafter a public outcry over their Bulletstorm: Full Clip Edition retail partnership. This breakup has prompted the conversation surrounding game key marketplaces to spring up once again. Last year, one developer told us he’d rather people pirated his game than buy it from G2A. Almost a year later – despite G2A declaring they’re taking steps to become legitimate – it seems not much has changed for game developers. Vlambeer cofounder Rami Ismail sent out a couple of tweets tonight about why he’d rather people pirated his games than use key marketplaces to buy them. Essentially, he’d rather he made no money from a game than someone else profited from his labour just for illegitimately getting hold of a key. It’s not all just down to stolen card purchases, you see. As for pirating, obviously Vlambeer would rather everyone bought their games legitimately, but there’s a clear difference between pirates who want to play a game they can’t afford and con artists looking to make some fast cash. 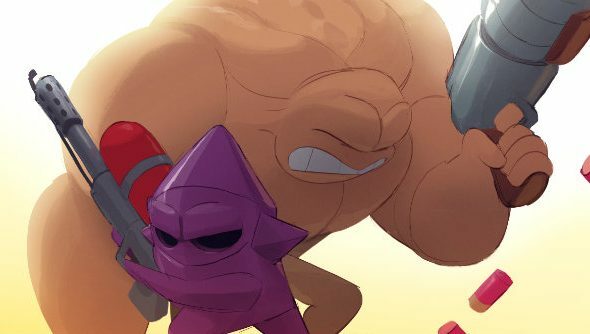 “Pirating isn’t ideal, but I understand that there are people that would like to enjoy Vlambeer’s work in situations or countries where they cannot buy or afford those games,” Rami explains. “Obviously, I’d still love for them to be able to enjoy the games, spread the word, and maybe be inspired to make their own work. We’ve received many encouraging or apologetic emails from people pirating our game, and they raise our spirits.